Andy is an industry professional drug hunter with a lifetime of experience in identifying and validating unique biological mechanisms. He spent 28 years (1988-2016) at the Merck Research Laboratories responsible for Discovery research in the areas of endocrinology (hypothalamic-pituitary adrenal axis), gastrointestinal, neuroscience, and most recently Type II diabetes and obesity. Through an intimate understanding of the fundamental hallmarks in biology coupled with a clinical mindset, Andy in collaboration with other team members, helped to bring novel mechanisms forward to clinical POC by virtue of the ability to choose the best biomarkers and surrogate endpoints for early clinical development work. Expert in all phases of early drug development from novel target identification and validation, biomarker and target engagement discovery and validation, lead compound identification, preclinical candidate selection, and shepherding of molecules in clinical development though Phase 1. From January-May 2017, Andy joined the CHDI Foundation (whose mission is to develop treatments targeting Huntington’s disease) as a Scientific Director, and subsequently established an Early Drug Discovery Consulting LLC to provide expertise on all phases of the early discovery process. 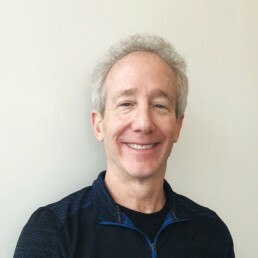 Andy received his Ph.D. in 1986 from the Department of Pharmacology, New York University School of Medicine on the molecular characterization of opioid receptors in the laboratory of Dr. Eric J. Simon. He then joined the laboratory of Dr. Sidney Udenfriend at the Roche Institute of Molecular Biology as a Post-Doctoral Fellow and studied the trafficking and synthesis of membrane proteins. In 1988, following a 1 year period at Bayer as a research scientist, Andy joined the Merck Research Laboratories.